Over the years, ever since I started designing ragdoll patterns, many of you lovely readers have requested an elephant ragdoll amigurumi. I adore elephants and knew I wanted to design one but I just didn’t feel like I could design something that would do an elephant ami justice. I thought about it for a long time and kept coming back to it until I suddenly had an a-ha moment recently and knew just how I wanted it to look. Then I had to make my vision come to life, which was tricky and required some experimenting! I finally came up with a technique that I have not used before in any of my crochet patterns, in order to give the elephant the look of sitting down with her back legs crossing over in front of the front legs. Take a look at the video to see how I did it! I’m really pleased with how she came out. I think this elephant ami would make an absolutely darling nursery decor item, either as a wall hanging or even as a sweet cushion in a rocking chair. I used a little bit of photographic magic to make the below photos come to life with the little bird and the balloon, but if you are hanging these on a wall or on a dowel as a hanging, it would be no problem to recreate the look with the elephant’s accessories. As usual, this pattern is made in the same style as my Ragdoll patterns; separate pieces worked in flat rows and then joined together to give them that unique 2-D look. The elephant has 8 separate pieces (not including the flowers and accessories), so there is a fair amount of sewing and assembling involved. The finished measurement is approximately 25cm/10″ from top to bottom. This ami is a little different from my other patterns, because I used a bulky (size 5) yarn for this one; but you could easily make it in worsted weight as well; it will simply be a bit smaller! If you’d prefer a downloadable or printable version of this pattern, an inexpensive, formatted, and ad-free PDF can be purchased HERE or through the “Shop It” button above! Some of the assembly is done throughout the pattern as we go (with some final assembly at the end), so make sure you read all the instructions after each section thoroughly. Be sure to keep a note of which side of the panel is the right side and which is the wrong side. For the front panels, the right side will be facing you whenever you are working on an odd-numbered row (hint: the yarn tail from the starting chain will be on the left). When you are working on the back panels, this will be the opposite; the right side (i.e. the one that will face outward) will be facing you whenever you are working on an even-numbered row. This ensures that all the rows and edges line up perfectly when we put the two panels together and that all the yarn tails are facing the inside where they will be hidden. Using a 4mm hook and your grey yarn. Tie off. Repeat row 1 for second panel. Put both panels together and crochet around to join. Stuff lightly. Slst to first st to close and tie off. The body is split up into three sections: (1) the front leg, and (2) the back leg, which are then joined together to create (3) the body. The panels are worked from the bottom up with a 4mm hook. In the next row, we will attach the front leg and the back leg together to create the body. Once joined, the back leg will overlap onto the front leg to make the elephant look like she is sitting. Take the front leg and turn it so that the wrong side is facing you (hint: the yarn tail of the starting chain will be pointing to the right). In the next row, you will crochet across the stitches, including the chains to create one full row. Check out the video if you’re still unsure! Repeat all of the above for the second panel. Next, you will cut out three small ovals from white felt and sew them onto the front panel for the toenails. The toenails I cut were 5cm wide and 6cm high. Using white sewing thread and a sewing needle, sew two onto the back leg and one onto the front leg. Now, starting on the left side of the body at the top, begin attaching the panels together by chaining one and single crocheting around the outside of the panels. Crochet down the front leg, (Sc, ch 1, sc) into each of the bottom corners of the front leg, up the other side of the front leg, then across the top of the back leg, down the back leg and across the bottom of the elephant. Stop here for now. With your tapestry needle and yarn, place the tail between the panels and sew it in place by sewing through all three pieces; the back panel, the tail and the front panel. Tie a knot in the yarn tails to secure and hide them inside the panels. Continue crocheting around the panels. When you get to the tail, simply crochet in the stitches of the front panel only, since this section is already sewn shut. Stop when you get to the top of the body (i.e. when just the top is open). Stuff firmly. Continue crocheting across. Top up stuffing as you go. Close with a slst to first st and tie off. Repeat rows 1-17 for the second panel. Place both panels together and sc around to join. Stuff firmly when you’ve crocheted about two-thirds around. Continue crocheting around, topping up stuffing as you go. Slst to first st to join. Tie off and weave in yarn tail. Now we will finish the head and then come back and crochet the trunk later. We will be crocheting only part way across the row in row 13 before chaining and turning. Tie off. Repeat the above for the second head panel. Move on to final assembly below! First, stitch on the eye using black crochet thread. Then stitch some pink thread around a stitch beneath the eye two or three times for the cheek. Cut off two lengths of yarn about 30cm/12″ long each and set them aside for later. You will start on the left side in the middle of the trunk. Begin attaching the panels together by chaining one and single crocheting around the outside of the panels. Stop when you get to the bottom of the head and pull up a loop. Now we will attach the head to the body. With your tapestry needle and a length of grey yarn that you set aside earlier, place the body between the panels of the head and attach the two together by sewing through all three pieces; the top panel, the body, and the bottom panel. When finished, tie a knot to secure and hide the yarn tails between the panels of the body. Now we will attach the ear. The top of the ear will line up with the head about 3 rows down from the top, so that your elephant looks like she is raising her head. The bottom of the ear will overlap onto the body a little. With your tapestry needle and a length of grey yarn that you set aside earlier, place the ear between the panels of the head and attach the two together by sewing through all three pieces; the top panel, the ear, and the bottom panel. When finished, tie a knot to secure and hide the yarn tails between the panels of the body. Continue crocheting around the head. When you get to the body and the ear, simply crochet in the stitches of the front panel only, since this portion is already sewn shut. Stop when you get to the top of the head. Stuff the head firmly. Continue crocheting across the head, topping up stuffing as you go. Crochet up the side of the trunk, across the top of the trunk, and down the other side, stuffing as you go. You may need to use the back of a crochet hook to push the stuffing into the trunk. When you’re satisfied, continue crocheting around and close with a slst to first st. Tie off. With your tapestry needle, poke the yarn tail back inside the piece. I opted to add a flower crown to my elephant. I made 4 flowers in 2 different sizes. I achieved the two different sizes simply by using a bulky (size 5) yarn and a worsted weight (size 4) yarn. I used a 3.5mm hook for both. Rnd 1: Sc 5 into a magic ring, slst to beginning st.
Rnd 2: [Ch 1, hdc, dc 3, hdc] all into the same st, slst to next st and repeat [ ]. Repeat until you have 5 petals. Slst to beginning st to close. Tie off. Sew the flowers onto your elephant’s head. I couldn’t decide between a little bird or a balloon to add a whimsical touch to my elephant, so I made both! Make whichever suits your fancy. Now we will crochet the tail, so you will crochet only part way across the previous row before chaining one and turning. Now we will go back and work the head on the remaining sts of row 3. Turn your panel so the wrong side is facing you. 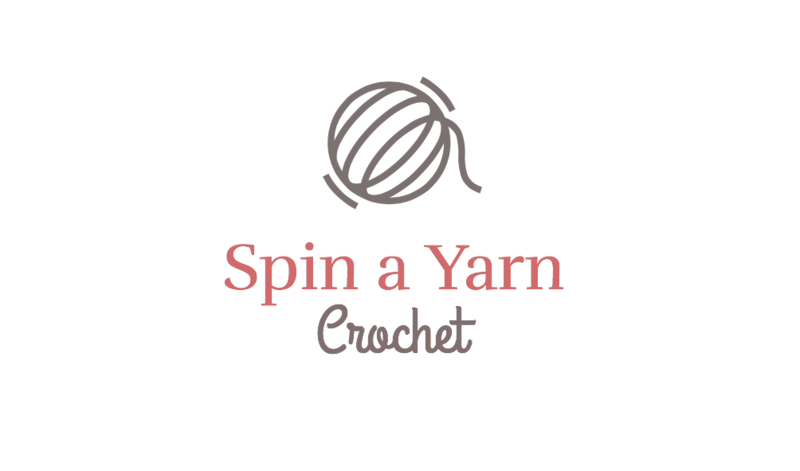 Skip 2 sts from the tail and join your yarn into the next st.
Row 8: Sc3tog (i.e. work one decrease across all three sts) (1 sts). Tie off. Repeat all of the above for the second panel. Stitch a little happy eye onto the front panel. For the beak, use a 1.75mm hook and black crochet thread, and chain 3, sc 2 (2 sts). Sew the beak between the panels. Crochet around the panels to join. Stuff lightly. Using a 2.75mm hook and Harvest Red yarn. Repeat rows 1-17 for the second panel. Cut a length of black crochet thread (or yarn) about 15cm/6″ long and stitch it into a stitch in the inside of one of the panels so that it hangs down from the bottom of the balloon. Place the two panels together and crochet around to join. (Sc, ch 1, Sc) in the bottom corners to create the square shape of the tied off part of the balloon. Make sure the string is hanging down from this part as you crochet across the bottom (the string will simply get crocheted between the sts as you crochet across). Thank you so much for this pattern. I was always looking for a cute elephant ami/ragdoll. And your patterns are amazing. I love elephant amigurumi, it’s beautiful and I can’t wait to make one for my niece. It is one of the custest elephants I have seen. Thankyou for sharing. I hope to yry this pattern. You did lots of justice to this elephant. It is so adorable , it was worth the wait. I love all your work, but this is perfect. would love to make this but all the adverts make it impossible! You can purchase an ad-free version of the pattern here!